The presentation encapsulates the results of a recent proof of concept (PoC) undertaken by State Street and University College Cork to show the application of FIBO to State Street Bond and Equity fund data. FIBO mapping for the PoC was taken and applied to database extracts in csv format which were converted to XML format. The resulting mapping was extended to include regulatory reporting rules for the purpose of populating regulatory reporting returns for the Central Bank of Ireland. These included the fixed income and equity returns for Money Market Investment Funds reporting. Oliver Browne is a graduate of University College Cork (UCC). While studying at UCC, Oliver obtained a Bachelors degree in finance and a master's degree in corporate finance. 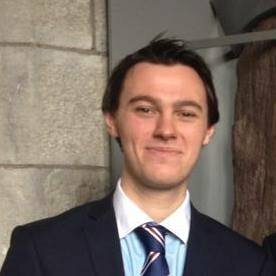 Oliver has extensive experience in regulatory and risk reporting, having worked in treasury for Ireland's largest retail bank, Bank of Ireland. Oliver is currently studying for a PhD in the area of semantic technologies and their application to accounting systems within financial institutions.